The evolution of British India was inextricably linked with the great Islamic Kingdoms of the East. This tour encompasses the best of the Raj and explores the Islamic and Hindu cultures that co-existed with British rule. Calcutta, the capital of British India until 1911, is a city whose character has perhaps more than any other, been shaped by the British Raj. Its architecture, monuments and people are a blend of Colonial and Hindu, and you'll become immersed in discovering its bustling and chaotic history. 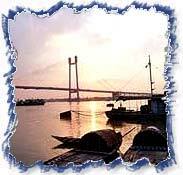 As the sun sets on Calcutta, board your launch for a cruise on the Hooghly River. Your journey moves from Calcutta to the State of Orissa, on the shores of the Bay of Bengal. Here you leave behind industrial India for the landscape of one of India's most thoroughly rural states, with its numerous carved temples. Tour the Brahmin temples of Orissa and the many temples at Bindu Sarovars; intricate and detailed carvings abound, from flowers to animals to gods and humans. Outside of Bhubaneshwar, tour the Udaigiri and Khandagiri caves once occupied by Jain monks. In Konarak, see the famous 13th Century Sun Temple, erected as a glorious tribute to Surya, the sun god. One of the four holiest places in India is the 12th Century Jagannath Temple with its teeming market and bazaar, which surrounds this living temple. You will meet our representative at the airport and will assist you to transfer to hotel. Morning city tour of Kolkata visiting Victoria memorial, St Paulos Cathedral, Belur Math, Kalighat Temple, Pareshnath Jain Temple, Nakhoda Mosque, Birla Planetarium, the magnificent Indian Museum, other art museums--time permitting. Afternoon fly to Bhubaneshwar-the capital city of Orissa. Overnight in Hotel. Drive to Konark (56 kms. / 11/2 Hrs.) and visit the famous Konark Sun temple built by the King Langula Narasimha Deva in 13 century A.D. 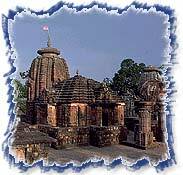 These temples showcase the art, architecture and sculpture of Orissa. Proceed to Purl (60 Kms. / 11/2 Hrs.) where you check, into the hotel. Overnight stay at the Hotel. Morning visit the famous Jaganath Temple. Rest day is free to enjoy your holiday on the white sandy beaches of Puri. This famous pilgrimage destination is also known for its sparkling clean water and the stunning beaches. Overnight stay at the Hotel. Day is free for shopping, relaxing on the beach or other vacation activities. Overnight stay at the hotel. Drive to Bhubaneswar airport (6 kms. / 11/2 Hrs.) and connect flight for Calcutta. Evening our representative will assist you to connect your flight back to home.